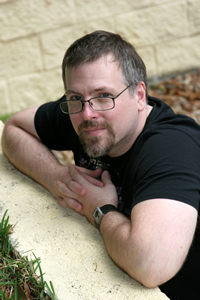 World Fantasy Award winner Jeff VanderMeer grew up in the Fiji Islands and has had fiction published in over 20 countries. His books, including the bestselling City of Saints & Madmen, have made the year’s best lists of Publishers Weekly, LA Weekly, Amazon, the San Francisco Chronicle, and many more. He has worked with rock band The Church, 30 Days of Night creator Ben Templesmith, Dark Horse Comics, and Playstation Europe on various projects including music soundtracks and short films. He reviews books for, among others, the New York Times Book Review, the Washington Post Book World, Huffington Post, and the Barnes & Noble Review, as well as being a regular columnist for the Amazon book blog. With his wife Ann (they have been cited by Boing Boing as a literary “power couple”), he is also an award-winning editor whose books include the iconic Steampunk anthology. Current projects include Booklife: Strategies and Survival Tips for Twenty-First Century Writers and the noir fantasy novel Finch. He currently lives in Tallahassee, Florida, with his wife Ann, and serves as assistant director for Wofford College’s Shared Worlds writing camp for teens (Spartanburg, South Carolina).